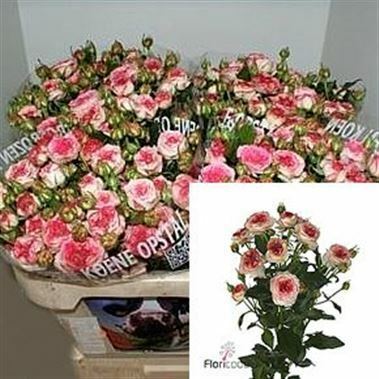 Rose Spray sweet stars 50cm is a beautiful White / Pink multi-headed rose - wholesaled in Batches of 20 stems. NB. As with standard roses the rule of thumb is - the longer the stem, the larger the flower blooms.